"The big race of Saturday afternoon is the Hungerford Stakes at Newbury - a highlight of the August Flat racing calendar. Bettors fancy three horses ahead of the rest of the field - Sir Dancealot [4.8], Librisa Breeze [4.6] and favourite Gustav Klimt [3.35]." Two of British boxing's biggest names are in action on Saturday night. 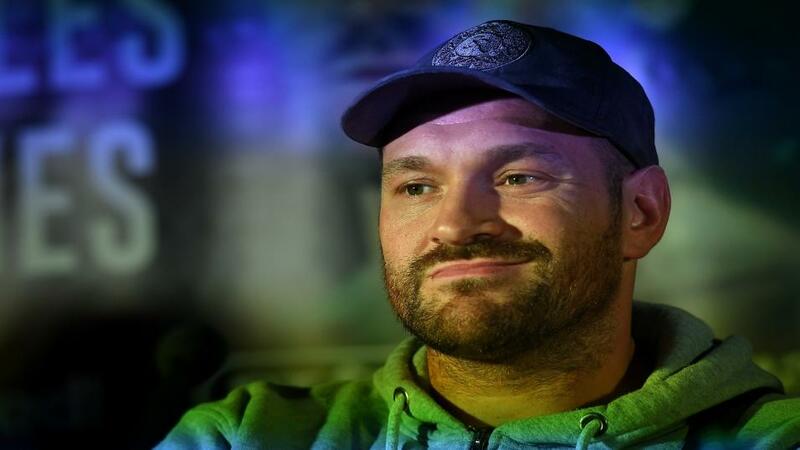 First up, Tyson Fury takes on Francesco Pianeta at Windsor Park. For Fury, who became world champion in 2015, this is his second fight since returning from two-and-a-half years out of the ring. Pianeta, should provide stiffer resistance than Sefer Seferi did in June, but Fury is still expected to win comfortably. At the same venue, the main fight of the night see Carl Frampton fight Luke Jackson. As Betfair's big fight tipster Frankie Monkhouse explains in his preview, Frampton lost to Leo Santa Cruz in January and is now bidding to get his career back on track. For boxing bettors then, Saturday night should be a belter, as two big name Brits going into the ring with everything to play for. The big race of Saturday afternoon is the Hungerford Stakes at Newbury - a highlight of the August Flat racing calendar. Bettors fancy three horses ahead of the rest of the field - Sir Dancealot [4.8], Librisa Breeze [4.6] and favourite Gustav Klimt [3.35]. Fortunately, the latter of that trio is ridden by Betfair Ambassador Ryan Moore and you'll be able to find out how he rates Gustav Klimt, and the rest of his Saturday rides, when his column goes live on our racing blog at 5pm on Friday. So far, England have blown away India in the two Test matches of their five matches series. That means that, if they win the Third Test, which starts on Saturday at Trent Bridge, it will be all over and the hosts will be triumphant. Chris Woakes and James Anderson were rampant with bat and ball respectively in the second Test and, what's worse for India, all-rounder Ben Stokes is available again for England, following his acquittal in court this week. Betfair cricket expert Ed Hawkins explains in his Test preview that the toss could be crucial in this one. If goes the tourists' way then, will we see the [4.1] currently available on India slashed? You'll want to be watching this one from the start. It's the second weekend of the Premier League season and, just like last week, the standout match of the weekend involves Arsenal. The Gunners were outclassed in their opener against Manchester City, so it will be interesting to see if Unai Emery can get them organised in time for their trip to Stamford Bridge on Saturday evening. Chelsea started with a comfortable win which is one reason why bettors fancy them to win this London derby. Mind you, our match previewer has other ideas. There are five other fixtures on Saturday and three more on Sunday, including Manchester United's potentially tricky trip to Brighton at 16:00. The Majors are over for the season but that doesn't mean the betting is finished. Following the drama of last weekend's US PGA, the world's best players have moved on swiftly - to the Nordea Masters in Sweden and the Wyndham Open in the US. For the best betting angles at both events - as the leaderboard changes across the weekend - make sure you follow The Punter on our golf blog.